When Tyler first met Ulyses, he was working on building his Instagram brand but was having little success and minimal traction. Tyler was attempting to figure out how to give more credibility to what he was doing but simply didn’t have the proven strategies to do so. After meeting with the team at Influencer Press, Ulyses walked him through the process of writing articles and getting them published, first in smaller publications and eventually in Forbes. Since then, Tyler has had multiple articles published in Forbes, which has done amazing things for his brand. 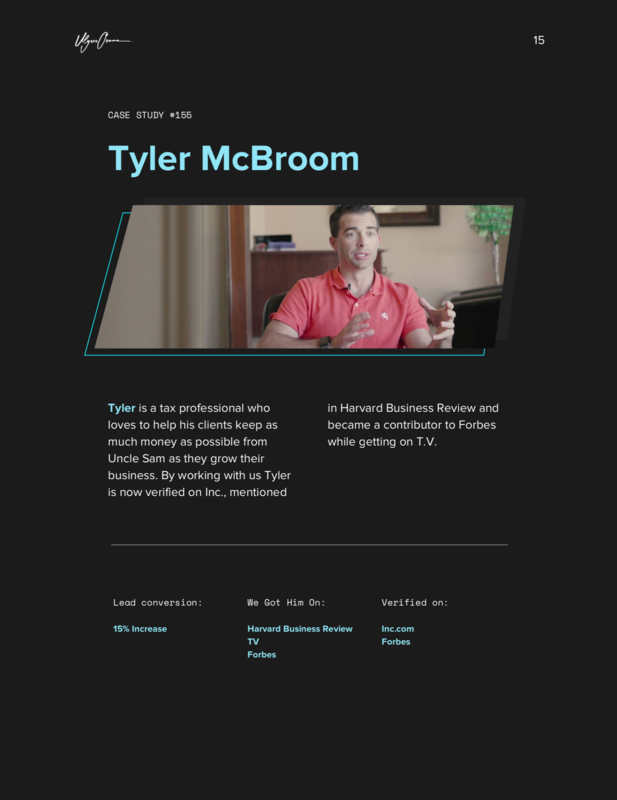 He’s also been mentioned in a Harvard Business Review article and is set to go on a TV show. Thanks to Influencer Press, his brand is constantly improving and Tyler will be moving into podcasts shortly. He was even recognized at the Houston airport by someone who recognized his brand, something that has never happened to him before! Copyright text 2017 by Influencer Press.